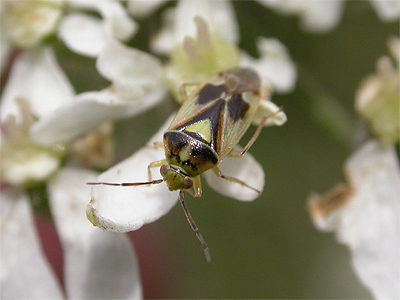 Less colourful than the similar (but usually green coloured) Orthops campestris, Orthops kalmii is also found on the flowers of various Umbellifers. For Nottinghamshire, there are three records listed on the NBN Atlas. All three records are modern and from the Nottingham area, including a record from Netherfield Ash Lagoons. We recorded O. kalmii from Clipstone Old Quarter in August 2017, which is the most northerly record on the map below. 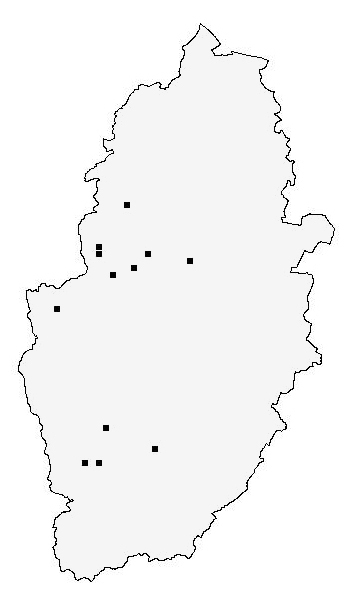 The records for the Nottinghamshire distribution map are currently provided by the following contributors - Netherfield Wildlife Group. NBN Atlas. 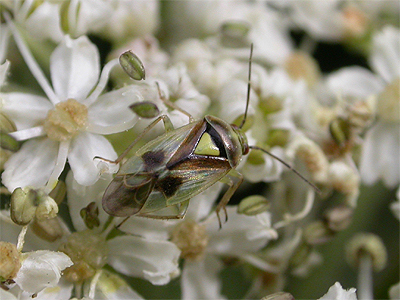 Derbyshire Biological Records Centre. Trevor and Dilys Pendleton.